Kevin Smith Star Wars TV Rumors Are Becoming More True! So is Kevin Smith and Mark Hamill involved in the rumored Star Wars TV series? Vader and Princess Leia as Boushh. Samuel L. Jackson also talks about the new Star Wars movie and having to do reshoots! Star Wars: Episode III Trailer - Fact Or Fiction? A new Star Wars: Episode III trailer has hit the net but hasn't been confirmed as being real or fan-made! 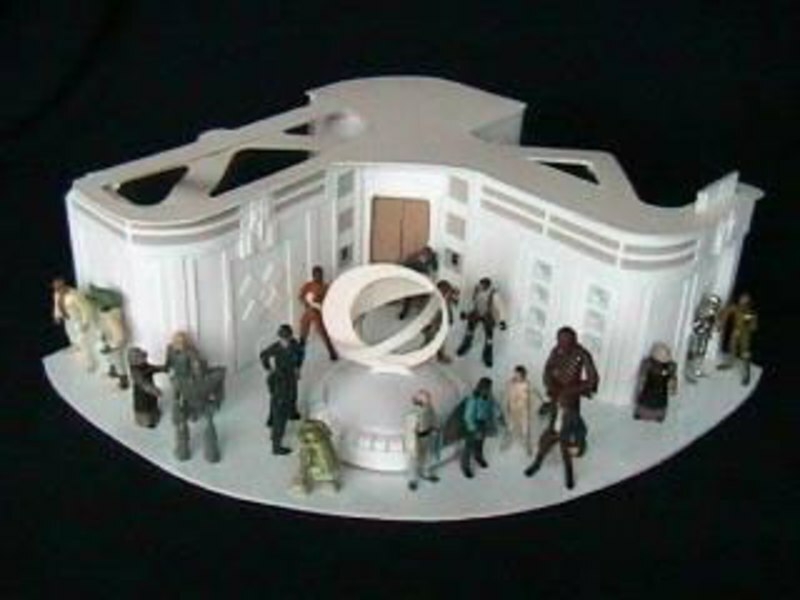 Cloud City comes to life in this week's Cool Custom segment. A new soft vinyl Star Wars figure from Kotobukiya. Released thru Dark Horse Comics. The Emmy Award-winning and critically acclaimed Star Wars: Clone Wars micro-series is coming to DVD next year. 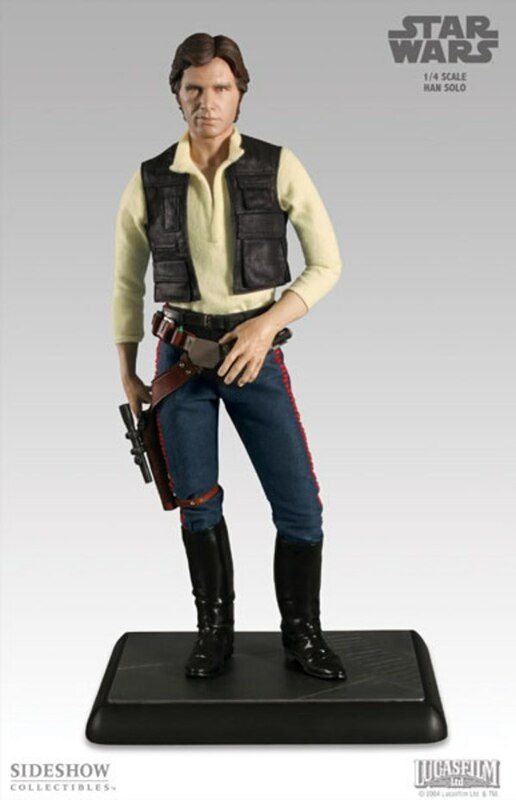 The Sideshow Collectibles 1/4 Scale Han Solo figure. See Code 3's newest upcoming Star Wars die-cast ship.